Your company deserves personal attention. We have your perfect assistant ready to work with you on your insurance needs. The power of Pay As You Go! Premiums are calculated with each payroll for Workers’ Compensation rathe than estimated and billed up-front. Hybrid is both a people driven and mobile technology enhanced and we consider our clients to be partners. We are in this together! We customize our services to meet your needs. That is why our cloud driven business model works so well. We are really people in the clouds! What Are You Waiting For? Let's Get Connected? 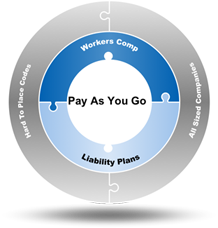 Pay-As-You-Go Worker’s Comp Insurance Via Cloud Based Technology. We Simplify Quoting and Policy Administration. Your time is valuable and we can maximize the time needed to fulfill your business insurance needs. There is no need to experiment with your business’s insurance needs. You will have your own personal adviser to assist you in meeting all your company’s workers’s compensation and other insurance needs. The outdated “best guess” approach to premium calculation is a thing of the past. Now your company and clients can eliminate huge down payments and dreaded end of year audits! HFG streamlines the payroll reporting and premium calculation process for Staffing Companies and PEO business models. Insurance for your business has never been easier. Workers’ compensation insurance premiums are traditionally based on estimated payroll figures determined prior to the policy period. In other words, premiums are based on a guess work approach without regard to policy changes. Our Pay-As-You-Go Worker’s Comp program is very different, using real-time technology to calculate premiums. This revolutionary Pay-As-You-Go Workers’ Comp Program offers an incredible solution to traditional Workers’ Compensation Insurance. We are able to eliminate normal pitfalls. With our program there are no up-front deposits or finance charges and the “Guess Work” premium calculation is thing of the past! Hybrid Financial Group’s Pay As You Go Program is made possible through the innovations of the premium calculation technology. This system eliminates the pitfalls of traditional policies and calculates the “Net Rate” of the premium every payroll period. This eliminates end-of-year audits and balloon payments. Looking ahead requires a team effort. Our Loss Control Program assures you that your X-Mod factor is in good hands. We plug your company into cutting edge technology and personal relations with loss control experts. If your company is new to business insurance, you don’t have to re-invent the wheel. You will have access to our team of experts that are here for your assistance. When you need support, you will have access to your assigned expert. Imagine having a business partner that was available any time you need them to answer questions or pursue new business strategies. Your business is as important to us as it is to you. We do not have a sales force. 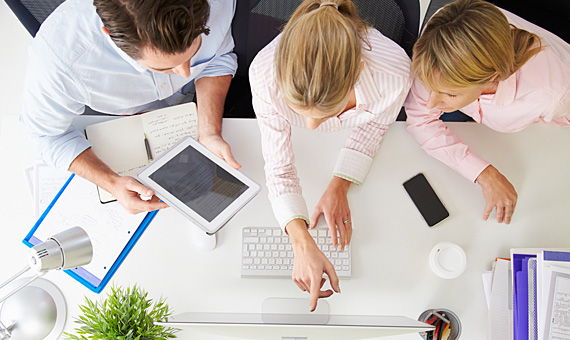 We rather, have team of people committed to partnering with your company for great success. Why re-invent the wheel? Funding For Staffing Companies can be difficult if you don’t have the right strategy. Our program will bring leverage to your staffing company and get your cash flow moving immediately. Our quick-approval program gives you a seamless cash flow between invoicing & collections. Offer Pay As You Go Business Insurance To Your Clients. We work directly with brokers, consultants, and clients to deliver cutting edge products and services. We can work out a custom solution to facilitate nearly any type of need or risk situation. Register with HFG to establish your own channel partnership with our network. You will have access to our ever expanding resources. HFG streamlines the payroll reporting and premium calculation process for Staffing Companies and PEO business models. This opens up new possibilities for carriers and agencies to offer competitive rates for Workers’ Compensation and Liability Insurance and integrate it with our proprietary Pay As You Go Workers’ Compensation Program.